Striking copper backsplash that gives your kitchen loads of individuality and a striking metallic glint. The kitchen is an important place of any home. Some believe that the kitchen is the soul of the house. 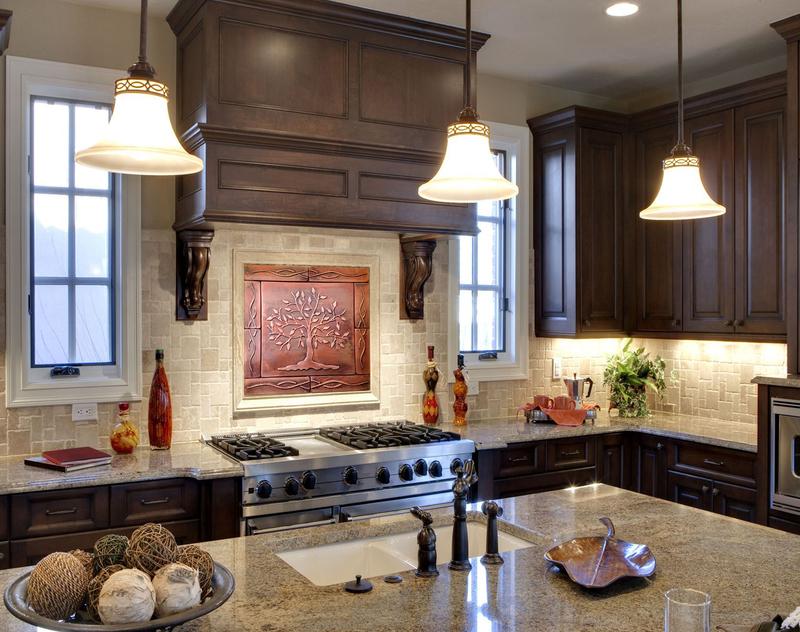 A very effective way to make your kitchen nice and cozy place is by installing our decorative kitchen backsplash. Popular themes for designs in kitchen backsplashes are trees, birds, tiles with celtic designs or tiles with flower designs. 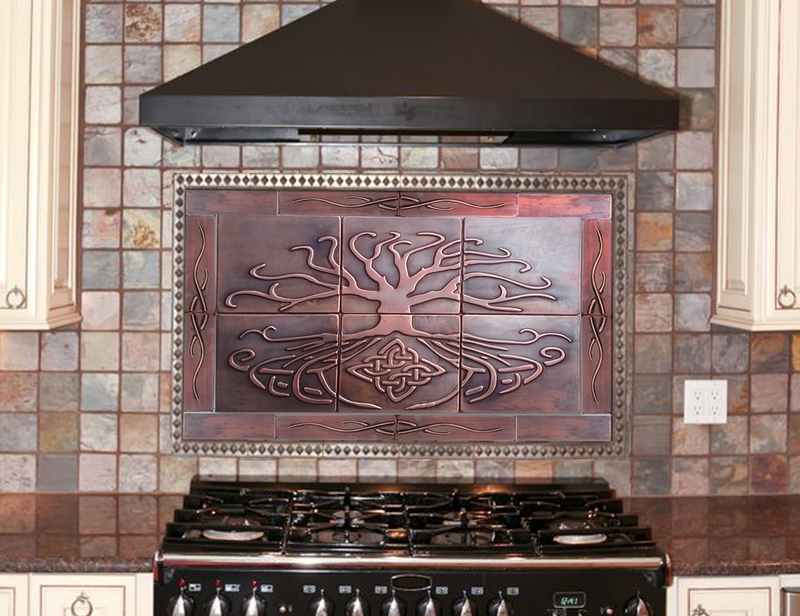 Copper backsplash is popular in a warm looking style in interiors, it becomes a frequent choice for revival homes, art and craft's man style homes or beach houses. In our online shop you will find a wide selection of kitchen backsplashes.